What does it mean to “Cast your bread upon the waters” (Ecclesiastes 11:1)? It’s the idea of having an openhanded generosity. It’s the idea of giving freely, wisely, and generously to the needs of those suffering hardship. This phrase, “Cast your bread upon the waters,” was a proverb in Israel for what looked like wasteful spending. No one would take good bread and throw it in the river. However, here we are encouraged to do that very thing. This is not encouraging us to squander our money. It’s not encouraging us to give away our money thoughtlessly, through careless spending. What it means is that we must be willing to take a chance where a real need is evident. When you see people in need, even though you don’t know how they’ll use your money, and it may not be apparent that they’ll even use it wisely, nevertheless, we are to be generous. “Cast your bread upon the waters,” for in God’s economy, in His wisdom and purpose your generosity may very well return to you some day when you least expect it. I could relate numerous stories from our lives where we have made efforts to be generous to those in need, then, at some later time … when we found ourselves in serious trouble … some person blessed us in such a way as to help us in our time of need. We must also give as widely as possible. Ecclesiastes 11:2 says, “Give portions to seven, yes to eight, for you do not know what disaster may come upon the land.” That’s not limiting us to how many we should have on our help list. This Hebrew phrase translated, “Give portions to seven, yes to eight,” was a way of saying, “Give to as many as you can, and then some.” Be generous. You have no way of knowing what evil may be averted by your gift. When you give to the work of a new church, you are giving directly to God’s anointed Kingdom work. That new church is piercing the darkness of evil. You are giving to help arm the forces of God’s army here on earth as they push back satan’s forces, pulling lives from the brink of destruction and the edge of hell’s gate. You are giving so the Gospel message can be preached. You are giving so a new church can reach out to the unwanted, unloved or the misfit … who are far away from God. You’re giving … so lives can be transformed for all eternity. During this time of year, we are inundated with many pleas to give to numerous good causes. As Christians, we should “Generously Invest in Life.” When you make your gift to the New Work Foundation, you are helping us “Resource New Churches for Healthy Beginnings.” When churches have a healthy start, they have a higher chance of thriving and making a significant difference when reaching people in their communities with the message of Jesus Christ. 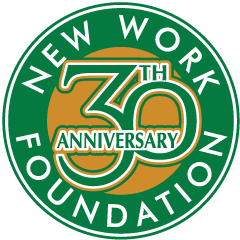 For more information on planned estate gifts or other ways to give to your church or the Foundation, contact Dr. Bobby Gilstrap, www.NewWorkFoundation.com, 770.483.2772 or bgilstrap@NewWorkFoundation.com. The information in this column is provided as general information and is not intended as legal or tax advice. For assistance and counsel in your specific case, you should seek the advice of an attorney or other professional adviser.